Interior trends come and go, some are odd, some are amazing, that’s how trends work, I guess? 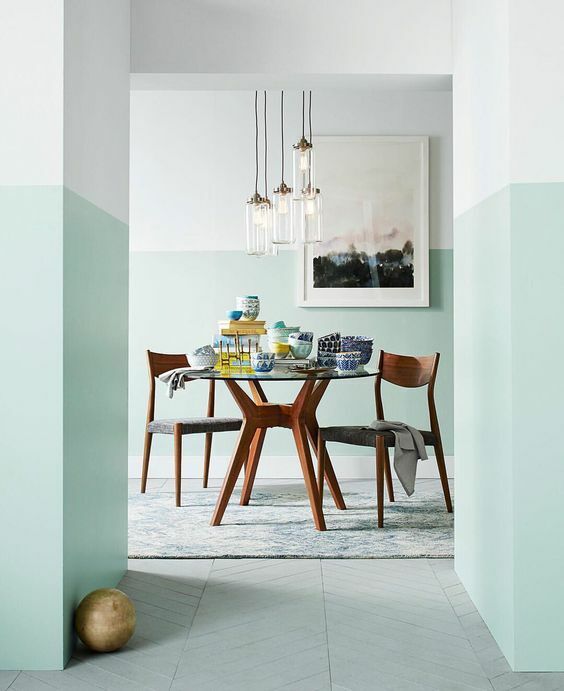 This is a trend I’ve become a little bit obsessed with over the last couple of months, and my head is swirling with ideas about how I can introduce it to my house. 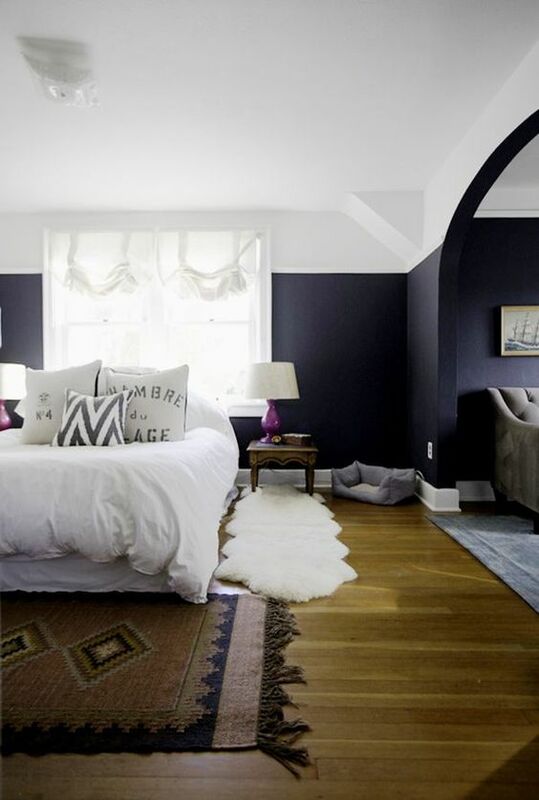 Say hello to the ‘half painted wall’ trend. Whether it’s done a really abstract way, splattered on the wall, or done to absolute precision with some high performing masking tape, it’s all over Pinterest, therefore, all up in my interior/creative brain. I thought I’d share some of my favourites, but if you’re seriously feeling this trend (of course you are, it’s amazing), I’ve put together quite a hefty Pinterest board for you to have a look at too – view it here. All the images below are featured, with all the source links if you wanna delve further into it. 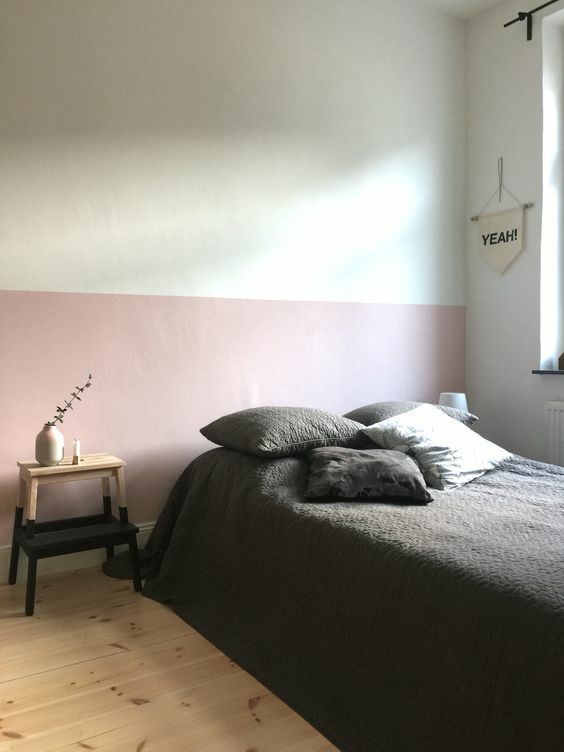 I think this way of doing the half painted wall trend is probably best left for the professionals, I think if I tried it, it would just look messy and I’d never be happy with it. 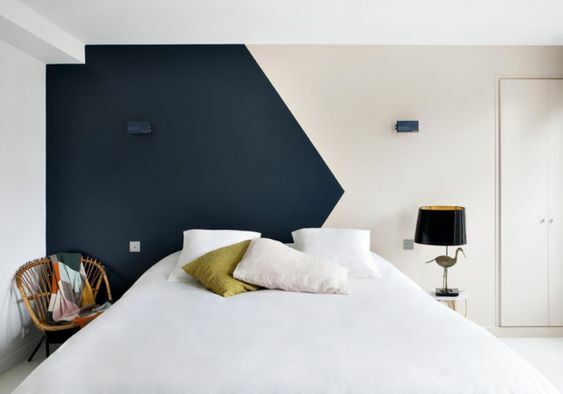 The geometric trend is still going strong, so why not mix it with another trend? I love how simple, but effective this is. 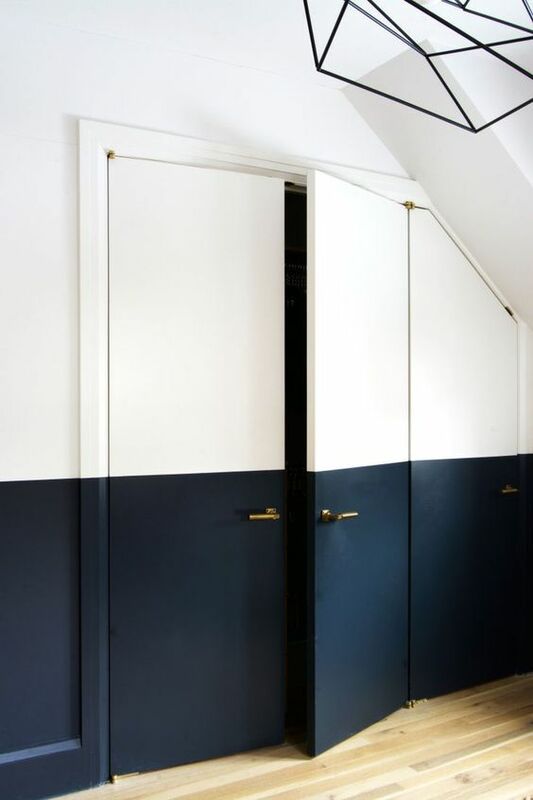 I love how they’ve carried the block across the double doors, the brass handles really stand out against the dark blue and it just looks really chic. 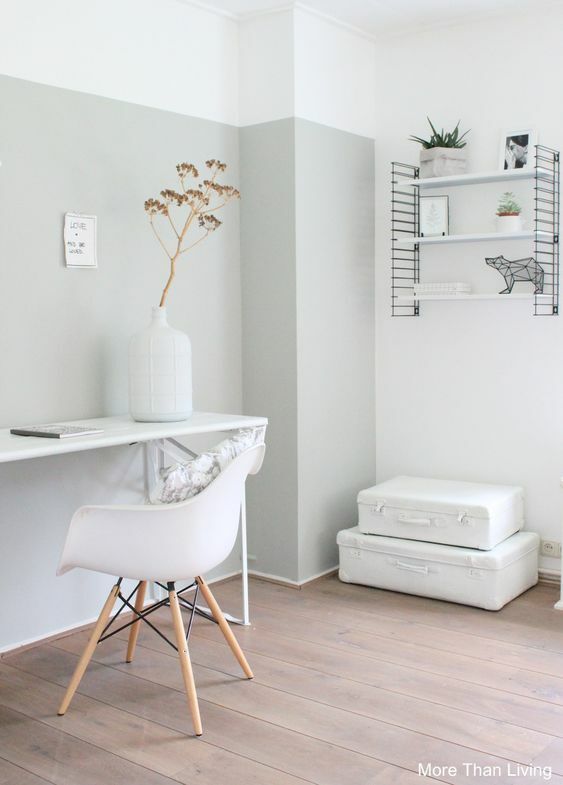 I think this would make a perfect office set up, the colour is really calming and not distracting. It’s also styled really simply, perfect for just cracking on! 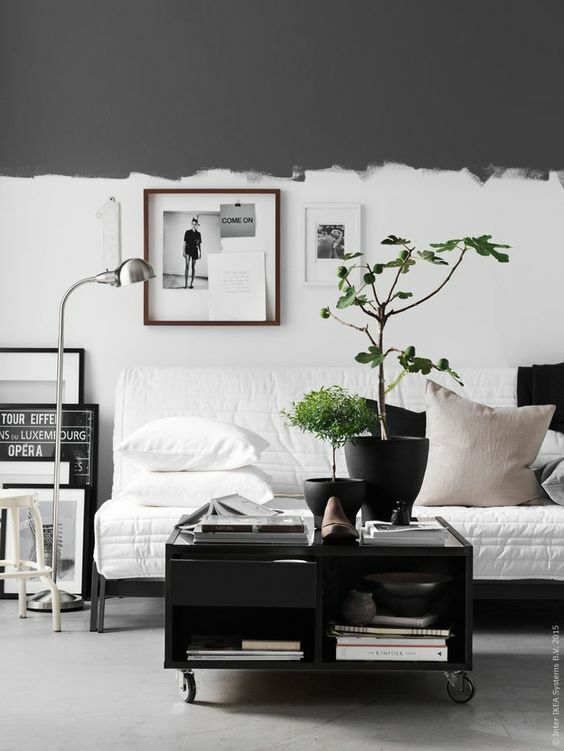 This is one of the images that first inspired my obsessed with the half painted wall trend. There are little hints of pink all around my house, but all the walls are white. 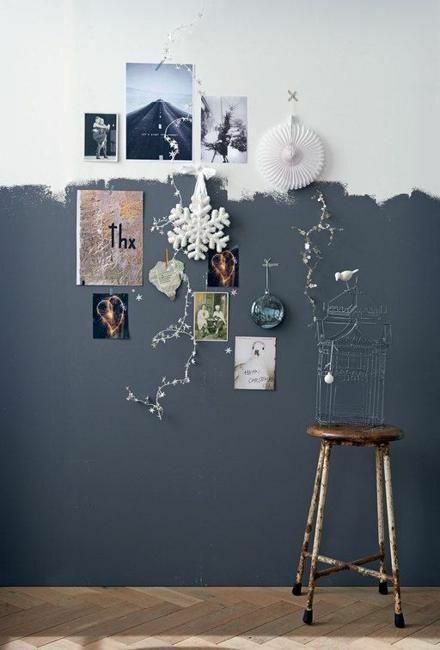 I think this would be a super cute way of updating a room without being too drastic. The shelf placement of this set up really pleases me. 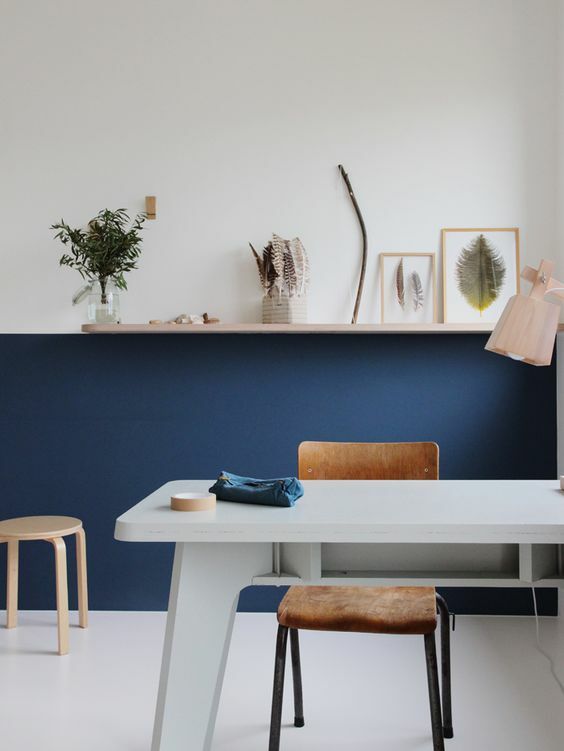 It’s the perfect partition between the two colours, and I’m all about the light ashy toned wood.